A Chestnut Leather Humidor from Ghurka. The fine holiday card collection of Bernard Maisner. Support literacy programs through Success Won’t Wait. It has been a while since I posted about music. I tend to go through phases with music. Sometimes I like a lot of new stuff, and other times I delve into the oldies but goodies that I have loved for years. However, on my recent road trip (there is still more to tell apparently) I bonded with two really great new albums which I just wanted to mention: Bach: Sonatas & Partitas 1 by Chris Thile; and Wise Up Ghost from Elvis Costello and The Roots. I have been a fan of Chris Thile, a true mandolin virtuoso, and his many collaborations for years. When I was planning music for my trip – which brought me through Kentucky Bluegrass country – I wanted to make sure I had some of Mr. Thile’s music as he often plays his mandolin in the bluegrass style and I love it. However, I was curious to hear about his lasted effort, playing Bach’s violin solos on his mandolin. I was curious and my curiosity paid off – it is fantastic. 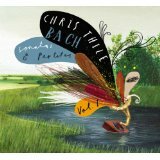 Bach: Sonatas & Partitas 1 by Chris Thile is available from Amazon and other fine music retailers. Meanwhile, I love Elvis Costello’s collaborations with other artists. His 1998 album, Painted from Memory, a collaboration with Mr. Burt Bacharach, is easily one of the top five albums I would want to be able to listen to on a desert island. Mr. Costello’s latest teaming is with the wonderfully creative group The Roots, and it is supremely listenable as it is eclectic. 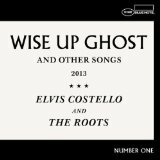 Wake Up Ghost – Elvis Costello and the Roots is available from Amazon and other fine music retailers. The heirloom book Audubon’s Birds of America from Abbeville Press. The second best way to countdown to Christmas: the Whisky Advent Calendar from Master of Malt. Help children be children by supporting Saving Innocence. After all these years, a good way to celebrate a birth, a retirement or a bachelor night, is still a fine cigar. Add to it a custom label for the occasion and you have the perfect gift. This is exactly what the fine folks at Victory Cigars do. 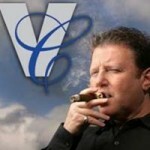 Find out more about Victory Cigars here. I have an embarrassing number of carrying bags (more than any guy should have) but none nearly as awesome as the kind made by Ghurka. 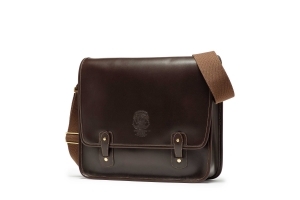 I covet the Walnut Leather Messenger Bag. 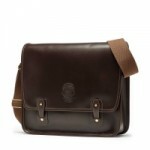 Learn more about the hand-crafted leather goods of Ghurka here. A few years ago I discovered vanilla beans – as in the actual bean. I like to grate them directly into my favorite tea or even into seltzer for a special treat. 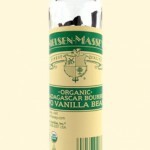 Some of the best beans I have found are the Organic Madagascar Bourbon Vanilla Beans from Nielsen-Massey Vanillas. 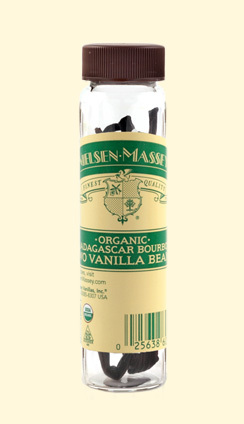 See all the great products of Nielsen-Massey Vanillas here. 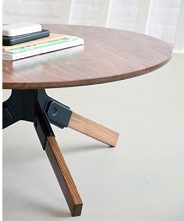 I love the simple, classic extremely well-made (as in this is not IKEA) furniture of Milwaukee’s Misewell – like this “Conrad” coffee table. 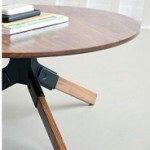 Check out all of Misewell’s furniture and lighting designs here. I love that Butterball, the leading provider of turkeys for Americans at Thanksgiving and Christmas, staffs a hotline (the Butterball Turkey Talk Line) to answer questions and help people through the pitfalls of preparing the big bird. The number one crisis on Thanksgiving morning? The turkey is still frozen! Learn more about the Butterball Turkey Talk Line and find online options here. For answers to all your turkey questions call 1-800-BUTTERBALL (800-288-8372). 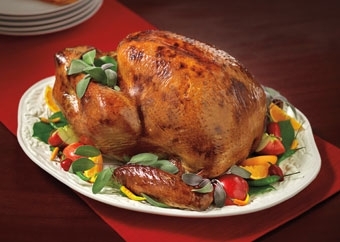 See all the turkey resources of Butterball here. This week’s book, Pie Love by Warren Brown, photographs by Joshua Cogan, is the perfect book for the eve of Thanksgiving, our most pie-centered holiday. Whether you like to make pies or just eat them, Pie Love will satisfy you. Bakers will love the creative recipes and cooking tips. Eaters will love looking at the wonderful photographs and dreaming of the perfect pie. If you are still struggling with what kind of pie to make for tomorrow, don’t sweat, Pie Love is available instantly on your Kindle. Pie Love by Warren Brown, photographs by Joshua Cogan is available from Amazon and other fine retailers. 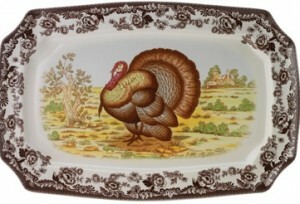 I’ve told the story about my family’s “heirloom” Turkey Platter in the past. I am proud to say that tomorrow, the platter will be front and center back where it belongs – as the centerpiece to our family Thanksgiving dinner here in New Hampshire. I love that we have this platter every year. It is special for a number of reasons, but mostly because when I see it I think platter, it brings back memories of Thanksgivings gone by and the family members we have lost over the years. If we did not have this classic platter, I would definitely splurge for this four piece serving set from Spode – which includes a great turkey platter. One of my favorite radio programs is The Splendid Table from American Public Media (airing on NPR and SiriusXM). Each week, host Lynne Rossetto Kasper brings us an eclectic mix of guests and ideas from the world of food. The Splendid Table has also spawned a great website that collects the content from the show and much more. At Thanksgiving time The Splendid Table shines with a ton of great ideas from traditional dishes as well as suggestions for new things and I always go there first when planning my meal. 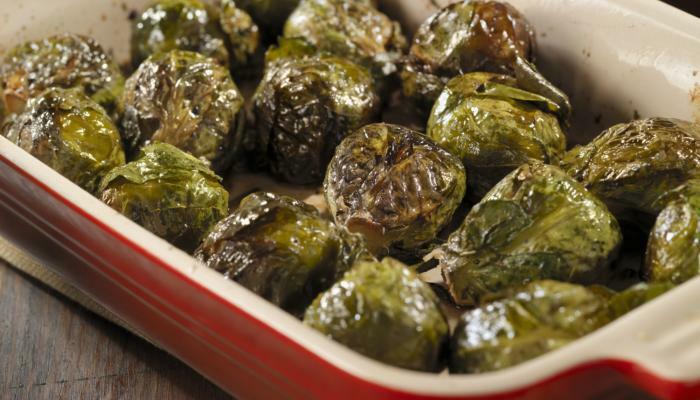 Definitely worth a try (along with all the other Brussels sprouts recipes I found). 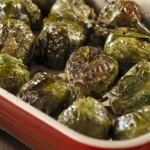 Find The Splendid Table’s recipe for Oven-Caramelized Brussels Sprouts with Autumn Fruits here. 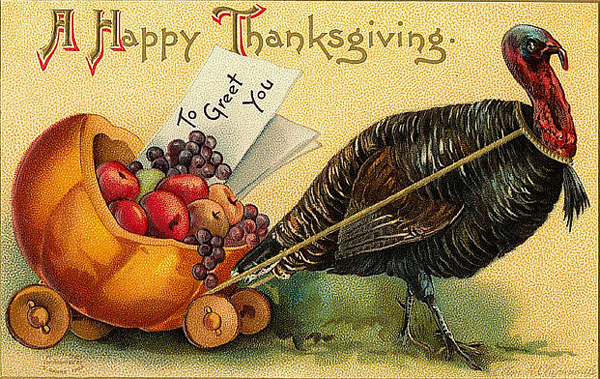 Check out The Splendid Table’s excellent guide for Thanksgiving on their website here. It is not too late to change the main course for your Thanksgiving dinner and instead save a turkey’s life through Farm Sanctuary’s Adopt a Turkey Project. Learn more about Farm Sanctuary’s Adopt a Turkey Project here. Learn more about all of the good work of Farm Sanctuary here. Lost Cowboy is powered by	WordPress 5.0.4 and delivered to you in 0.912 seconds using 54 queries.